A flat paper container with a sealable flap, used to enclose a letter or document. The act of changing to or adopting one thing in place of another. The characteristic of being easy to see through. A combination of all three elements. 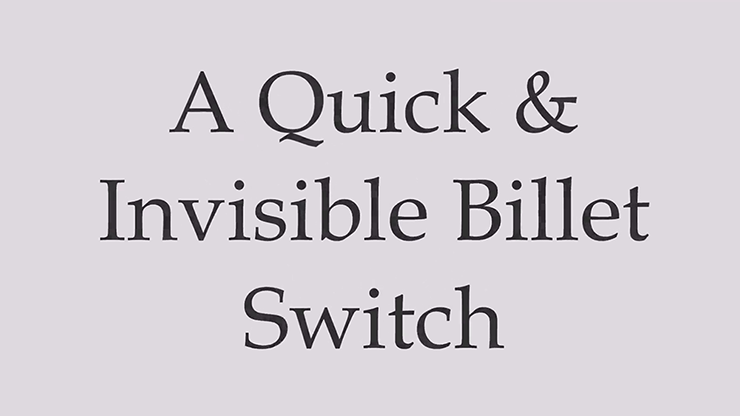 If you do a search online for "billet switching apparatus," you will come across a variety of devices, the majority of which include boxes of different shapes and sizes, ranging from cardboard to perspex and antiqued oak. Some of these boxes are ingenious, some extremely expensive and some look like what they are, a magician's prop. 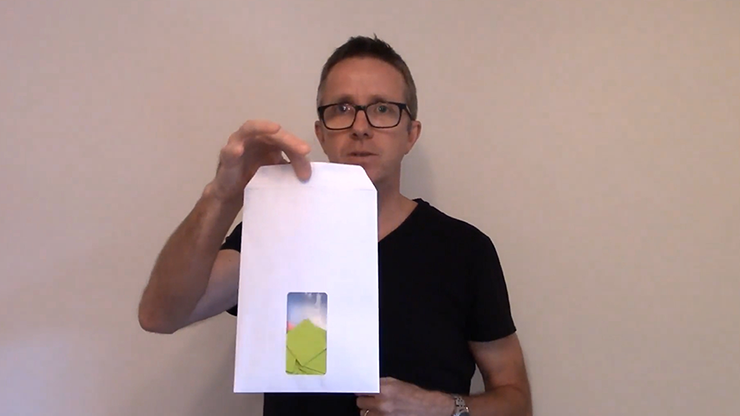 It would be surely look more natural to use an envelope rather than a suspicious-looking box. This is particularly true if you are working for a small audience, or even a large audience, where you only need to switch out between 10-30 billets. 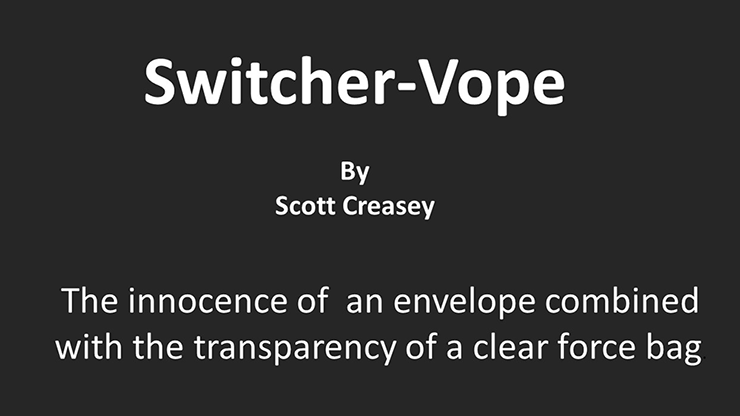 In this thirty-minute video, Scott shares the quick-and-simple manufacturing process using a window or non-window envelope to manufacture his Switcher-Vope, which combines the innocence of a standard envelope with the transparency of a clear force bag. 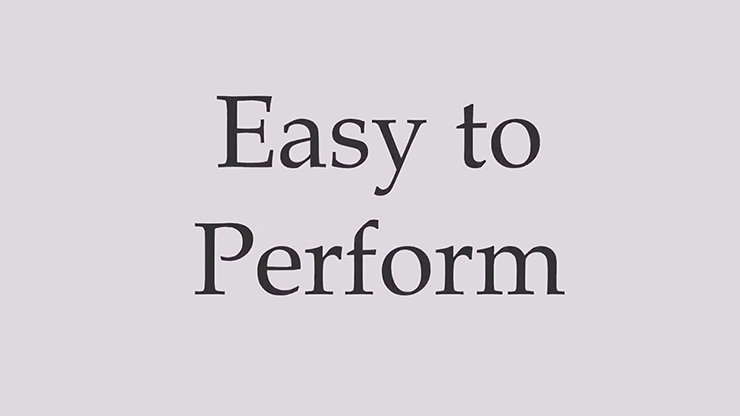 Importantly, he teaches his own handling for this very versatile billet-switching device, detailing the key points that will help you create a miracle for your spectators! "Okay, I feel Scott should just have my Paypal password and just take any money he needs whenever he comes out with something. The Switcher-Vope is another great tool that he presents. 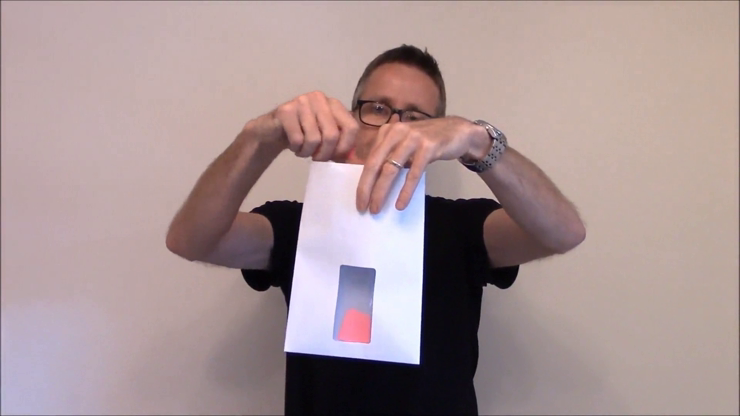 Not only does he show you the workings, how to make one, but he also provides useful tips and ways of making them with any envelope. "Oh boy, another Creasey Creation that will work wonders in many acts. Just buy everything he puts out. It's much easier that way." "Another great release from Scott Creasey. I now have something like 20 videos and eBooks from Scott, and I treasure all of them. Scott is truly a genius." "This is embarrassingly good! I really hope this one is never seen on TV or the internet... it is that good. Scott provided me, quite by chance, a better solution to an effect that requires this sort of switch. I had a perfectly good envelope solution. But this is so clean and convicting, I am changing to this approach."